The Rotor KAPIC Cranks are both light and strong. Rotor KAPIC cranks are the Spanish cycling component maker’s lightest and stiffest MTB cranks. The KAPIC name is homage to South Africa’s Cape Epic MTB stage race, one of the most prestigious marathon stage races in the world. The Rotor KAPIC cranks were designed to mirror the strength, agility, and speed needed in that event. 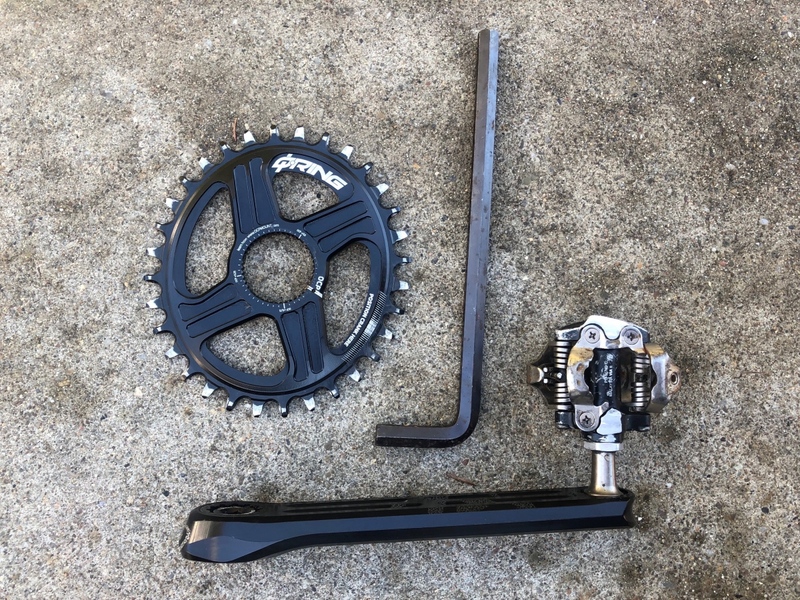 The KAPIC’s modular system allows you to select each crank component based on your bike setup, thus it’s available in either boost or standard axle to fit different frame standards. At a respectable 554 grams with protective bumpers, the Rotor KAPIC boasts cross country crank weight with trail duty durability. The KAPIC also shares direct mount rings with other Rotor offerings, including 2INpower, INpower, Hawk, and Raptor, meaning you can mix and match as you please. Crankset weight is under 600 grams. 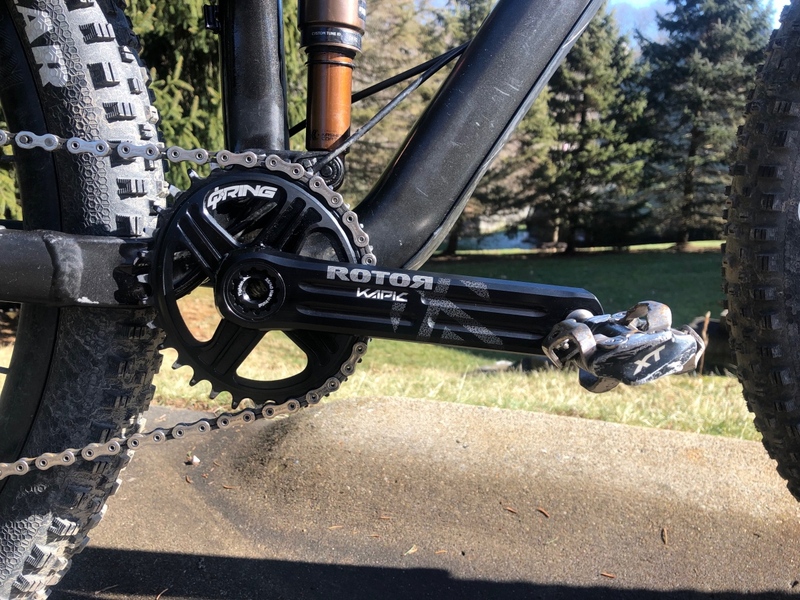 The Rotor KAPIC’s direct mount technology features a proprietary spline interface, connecting crank arm, axle and chainring, allowing simple assembly and disassembly of the crankset. The bottom bracket and direct mount interface are easy to set up and intuitive to clock. My personal favorite feature was switching between different chainring sizes. The process is super easy with only one bolt to remove. You do not have to remove the whole crankset. The look of the KAPIC is classic cool, machined and sharp looking, similar to the other cranks in the Rotor family. Rotor crafts the KAPIC using a CNC process they call Trinity Drilling, where three internal holes from axle to pedal give the dual benefit low weight and stiffness. Rotor Q Rings give your knees a break on extended climbs. We also ran an oval Rotor Q Ring during this test. The updated OCP mount axle makes adjusting the clocking to find the optimal chainring position much faster. And with the new rings, you can adjust in one-degree increments. Sizing the chain correctly with the Q Ring may pose a challenge for some, as the rear derailleur requires a bit more slack than with a conventional ring. 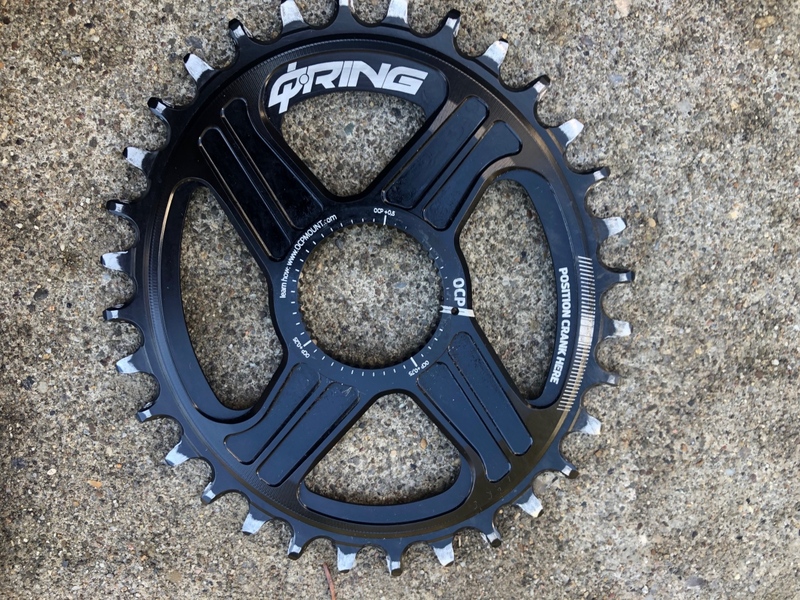 But it’s a worthwhile trade off, as we found that the Q Rings help keep power (and thus traction) more equalized, as well as being easier on the knees, especially during long rides with extended climbing. Clocking the Rotor Q Rings is easy. On the trail, the Rotor KAPIC cranks performed as advertised, generating positive pedaling feel and confidence with every pedal stroke. Standing up and stomping the pedals, I felt none of my effort was wasted, and the Q Ring felt natural with no adjustment period needed to get used to the ovalized ring shape. 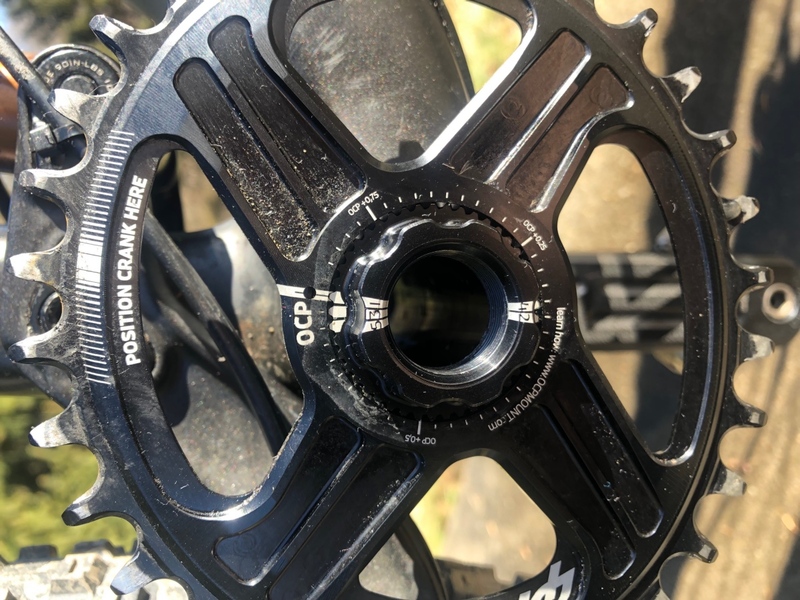 Bottom line, if you are looking for a crankset that can take the abuse of all-day epics but are light enough for serious XC racing, the Rotor KAPIC is worth a long look. 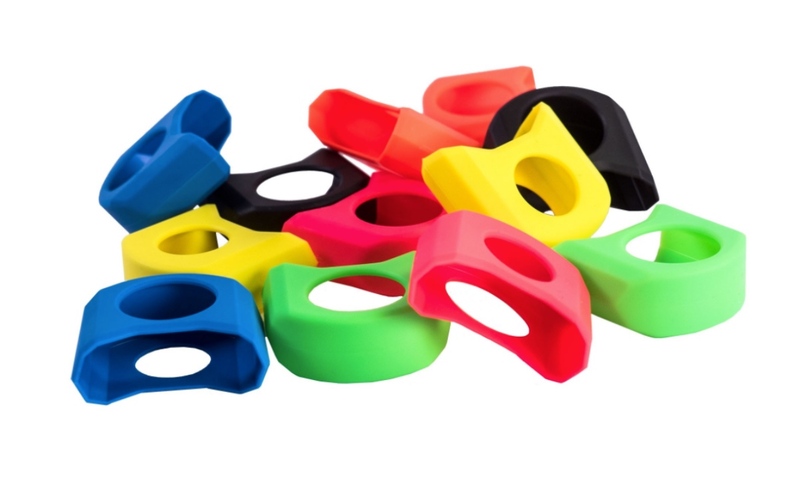 And you can customize your crank arms with rubber bumpers in a choice of seven colors, including black, blue, green, yellow, red, pink, or orange. You can accessorize your Rotor KAPIC Cranks with a variety of crank boot colors.